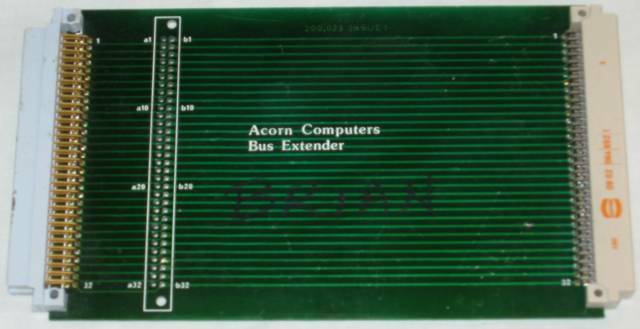 Many companies, including Acorn, produced upgrades, add-ons and expansions for Acorns computers. From the days of the Atom through to the RiscPC and A7000+, people saw the opportunity to extend the capabilities of a particular computer. In the early days it was video and memory cards, then second processors and ROM/RAM board, then SCSI, IDE and Ethernet cards, with many other interesting card on the way. In this section I am documenting the upgrades and expansions I have, some of them are duplicated under the computer they are installed in, but here they are listed by supplier/manufacturer. Where I have document for the card there is a link to the document in the document section of Chris's Acorns. Where I have software for the card there is a link to the software in the software section of Chris's Acorns. There is an alternate index of the upgrades by function. This allows you to see all the upgrades of the same tpe together (e.g. all Ethernet podules, or all memory upgrades). Index by function.